Street Gourmet LA: Latinoamérica en Manzanilla on March 28 in my Latest for OC Weekly Food's Tijuana Si! Latinoamérica en Manzanilla on March 28 in my Latest for OC Weekly Food's Tijuana Si! 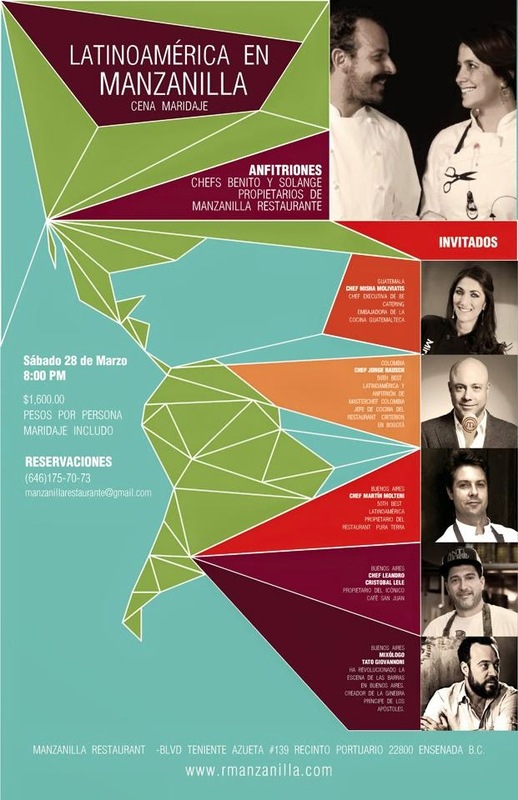 This is where I will be on Saturday, Latinoamérica en Manzanilla for the opportunity to dine at Colombia's Criterion; Argentina's Pura Tierra, Cafe San Juan and Floreria Atlantico; Guatemala's 7 Caldos in one place, along with host chefs Benito Molina and Solange Muris. Read more about the event on my post here at OC Weekly Food's Stick a Fork in It.